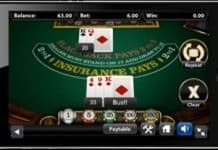 The world of mobile betting is entering a new phase, as technology really starts to take a grip on the gambling community. Phone bill sports betting is the latest addition to some online sites, but just how popular is it and what are the benefits? Being able to deposit using your phone bill has been utilised by casino for a while now, but until recently the bookmakers couldn’t see how important phone bill sports betting would become to customers. 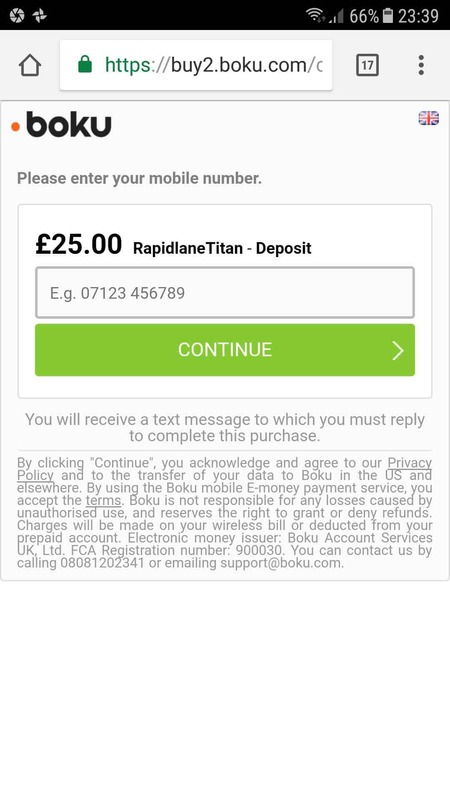 "Our Best Choice for BOKU Phone Bill Deposits"
Minimum £10 stake required for initial £5 free bet (Max £25 in Free Bets). Min odds ½. Cash stakes only. 13 bets required to receive full £25 free bet. Subsequent free bets equal 50% average of each 3 qualifying bets. Qualifying bet must be placed within 30 days of opening account. Payment method restrictions apply. Offer expires after 7 days. 18+ T&Cs apply. Offer expires 31.05.19. New customers only – valid one per customer. 7x turnover at 1.6 minimum odds. 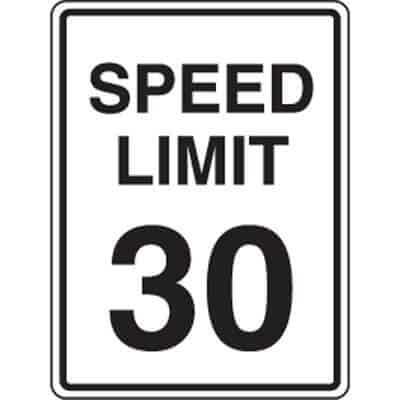 Bonus expires after 30 days. Skrill & Neteller deposits excluded. 18+ only. BeGambleAware. "Great Choice for eSports Betting"
New customers only – Matched free bet up to £25 with odds of 1/2 to qualify. Deposit & Bet £10 or more / Single bet only on any sport / min. 18+ T&Cs Apply. "Champion of Money Back Specials & Acca's"
"Best fair-punter bookmaker in our polls"
New online customers only, free bets paid as 3 X£10, 30 day expiry, min £10 stake, min odds 1/2, win only, free bet/payment method/player/country restrictions apply. "Great weekly offers for regular punters"
New customers only, Minimum deposit £10 using deposit code 30F, Free bets expires after 7 days, Min odds 1/2, Deposit balance available for withdrawal any time, withdrawal restrictions & full T&C’s apply. Currently Boylesports, Sportnation and Netbet are the only bookmakers that allow you to deposit using your phone bill or Boku directly. You can deposit by phone bill with more established bookmakers such as Paddy Power, William Hill, 888sport and BetVictor, but this requires a Neteller account to deposit into. 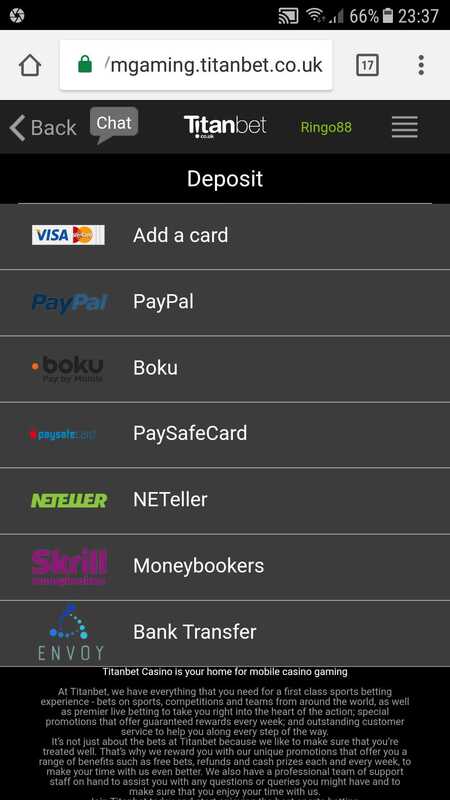 For more details check out our guide on How to Use Neteller to Make Boku Deposits. What is Phone Bill Sports Betting? 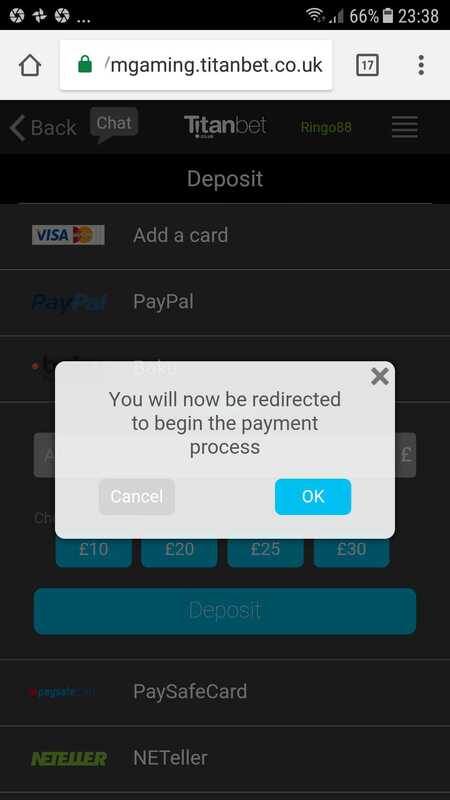 When making your deposit at one of the above betting sites, instead of choosing PayPal or debit/credit card you will have the option of Boku (otherwise referred to as pay by phone). It couldn’t be simpler to Pay by Mobile and with SMS confirmation of the transaction it’s safer than debit/credit payments. You will then be asked for your mobile number and your deposit amount. A confirmation code will be sent to you via text. Simply follow the instructions on the text and reply accordingly. Your deposit amount will then appear in your betting wallet. Once the payment has been accepted, the amount will be billed to your mobile phone provider who will add it to your next bill. 1. Select either Pay by Phone or Boku. 2. Enter the amount you want to deposit. 4. Reply to the text message confirmation. 5. You will receive a second text as receipt of payment. You may be surprised to know that phone bill sports betting is actually the safest way you can make a deposit, because you only provide your mobile number; your bank details are kept completely private. Two factor authentication is completed which is the confirmation code you receive by text, it also ensures that your mobile number cannot be used by anyone else to make a deposit. It’s the security of phone bill sports betting that makes it so appealing to customers, but another aspect is the ability to pay the amount at a later date. This essentially acts like a small interest free loan, so if your funds are low but you fancy a quick £10 bet, make your deposit then simply pay it off when you get your next phone bill. Boku sports betting deposits are also limited to set daily and weekly amounts when you first start making them, this is so your bookmaker and phone provider can also ensure your details have not been compromised. Once it has become clear that all of your deposits are genuine, those restrictions will begin to ease, but there is nothing stopping you from using another depositing method as well as phone bill. Which mobile providers accept Boku deposits? In short, most of the major mobile carriers accept Boku mobile payments, this includes EE, O2, BT, Three and Vodafone. But this does not just include UK networks as Boku claims they signed up over 250 network providers globally. There have been cases where some networks are less keen to allow mobile transactions to gambling sites such as Lebara, but this reflects a tiny proportion of world-wide carriers. Is placing a bet using Phone Bill safe compared to other banking methods? As we briefly discussed previously, we believe phone bill sports betting is the most secure payment option for players – let me explain why. There are many cases where someones laptop has been compromised due to malware, without the user knowing. Unlike a decade ago most recent malware software is so sophisticated it will monitor users movements on the web and can distinguish when you are entering card details. So once it has your card details it sends the information back to the criminal to exploit. Now imagine using Boku where you never enter your card details and instead key in your mobile number. Even if you have malware on your PC, the hacker cannot take advantage as you no longer give any banking details away. The second security feature is the authentication SMS message that you receive to confirm the transaction. Without your phone, no one can fraudulently request a Boku payment as you need the phone to reply to the message and confirm the transfer of funds from your account to the bookmaker. So as you can see, if you are a regular punter that like to flip bookmakers to take advantage of the offers available, this level of anonymity on the web is extremely beneficial. Are there any fees with using Phone Bill deposits? There are absolutely no fees what so ever with using phone bill or Boku deposits. Unlike other services like PayPal that will add on 3% transaction fee to the user, phone bill payments charge the carrier. So if you deposit £10, you will receive £10 in your betting account. One of the biggest flaws with this new technology is that all transactions are restricted to £10. The main reason for this is that the deduction from your phone bill is in effect credit and interest-free credit since the amount is not paid-off in full until your next bill date. So mobile carriers are reluctant to increase this amount in case you have difficulties paying it back. 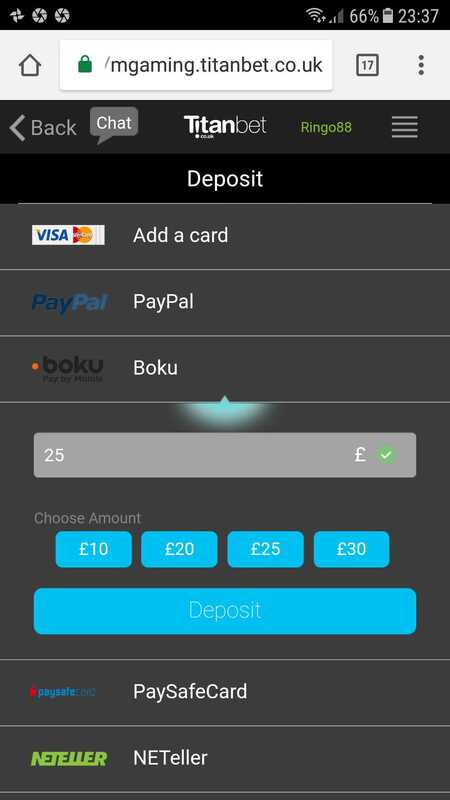 Boku have gone one step further though and now allows up to £30 credit per day, so in effect this gives you a max monthly credit limit of £930 (for 31 days). While this may be an issue for players that have higher daily spends, I believe it’s a great way for some punters to keep check of their spending habits on gambling sites and make sure it doesn’t get out of control. What are the cons of Betting using Mobile Phone Credit? As we’ve discussed, due to the restrictions on the maximum amount you can deposit per day i.e. £30. New customers may not be entitled to the full welcome bonuses on offer. Also you cannot withdraw any winnings using phone bill sports betting, which I appreciate negates the whole point of using the service – but remember this a convenient method of depositing. To take-out any winnings you would need to provide a bank account details or use an eWallet such as Neteller or PayPal. When do I need to pay the balance on my phone bill? As we stated above you only need to pay the balance off on your next billing date, so in theory you can deposit using phone bill on the day you pay your phone bill and you won’t need to pay the amount until the following month. But I will stress that this “hack” should only be used if you have the funds available and not as a line of credit in the hope that you can pay it off with any future winnings. If you’re a regular follower of our site, you’ll know that I believe Boylesports is a hidden gem in the sports betting arena. They offer a no-frills experience with an intelligent layout, which means the site load-time is extremely quick and easy to navigate round. Were they really excel is on mobile platform which has to be one of the most intuitive I’ve come across. All the latest matches are on the homepage and your two-clicks away from what you want. Netbet has recently had revamp and we believe it’s for the better. Gone is the old dated theme and follows in it’s place is a more modern responsive theme that looks the ducks-guts. Instead of bombarding you with every possible event for the day, which can be quite daunting. Netbet have restructured things with a more minimalistic way. The left sidebar provides a list of icons for the latest events and the center column allows you to quickly navigate through the plethora of games available. Overall this has been well worth Netbet’s effort and is our current preferred bookmaker of choice. The first thing you notice about Winner Sports is just how fast the site loads, it’s incredibly quick, which is a huge bonus for expert in-play punters. Winner follows a very similar layout as with most bookmakers, with quick-links and a full list of sporting events on the left sidebar and all current matches and games in the center column. The theme is starting to look a bit dated and cluttered, but with that said we were impressed with their top menu bar which provides all possible account, payment and promotional details you could want. Mind you we can’t fault Winner’s level of customer service which is second to none. So hopefully we’ve gone some way to explain a little more about phone bill depositing at sports betting sites and give you some insight as to why it’s of such benefit for regular punters.